King Carol I of Romania built Peleș Castle, his summer home, near this small town. And Peleş Castle itself is enough reason for a visit, it’s among the best European castles we’ve seen (and we really like castles and have seen fabulous ones – like in France or in Czechia), and definitely our favorite from our Transylvanian road trip. And Pelişor Castle, its little sister is just a short walk from there. We’ve already written a guide why you should visit Peleș and Pelişor Castles with some useful advice to make your visit smoother and more pleasant. Read it here! 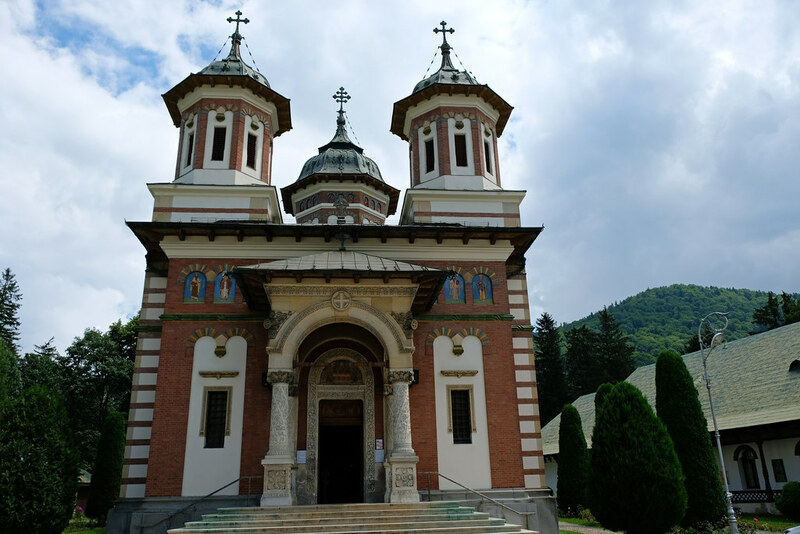 Actually, this small town itself was named after Sinaia Monastery that got its name after the Biblical Mount Sinai. Inhabited by Christian Orthodox monks, the two courtyards of the monastery can be visited. In the centre of each there is a small Byzantine style church – called the Old Church and the Great Church. We found them pretty and liked the colorful paintings, too. There’s a small entrance fee for visiting Sinaia Monastery. A short walk from the monastery there’s a lovely park called Dimitrie Ghica with nice buildings and a fountain. 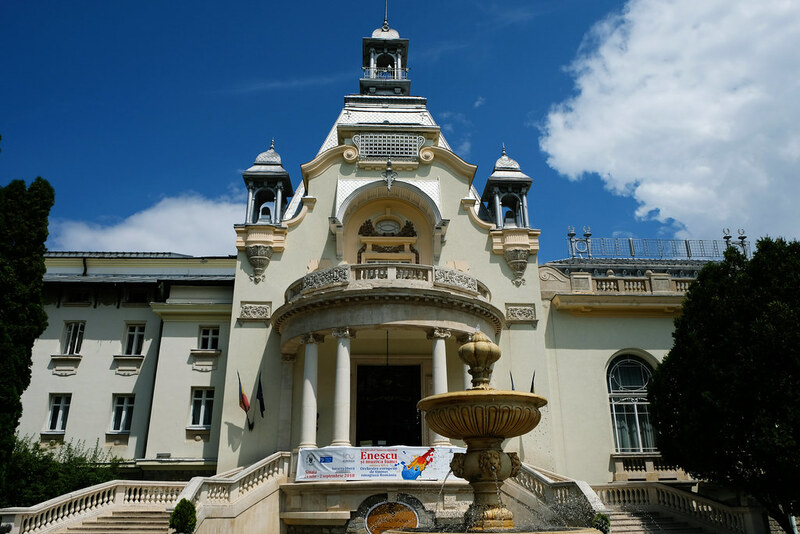 One of those nice buildings is the Sinaia Casino. 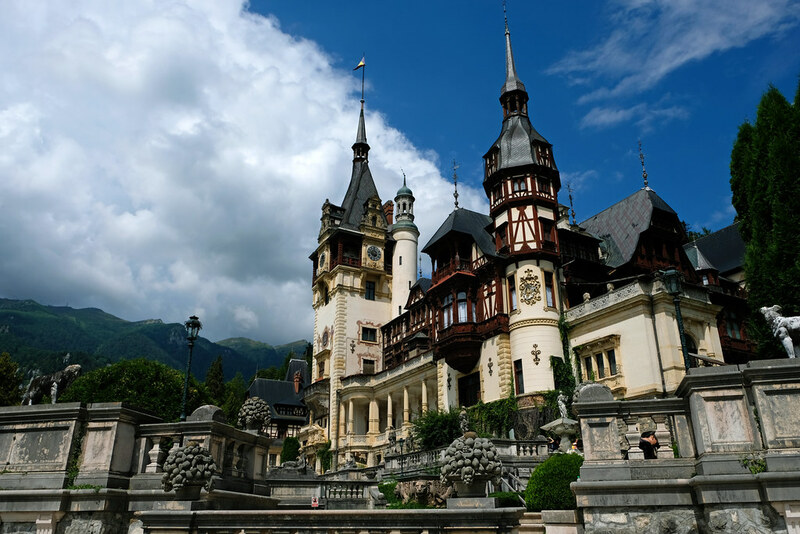 It was also built by King Carol I of Romania and was the main attraction in Sinaia with around 800 daily visitors that time. Then it was closed after the communist takeover in the 1940s. Today it’s an international conference center. We didn’t go inside, but the building itself with a small square, a fountain and flowers in front of it is worth a short stop while walking around in Sinaia. 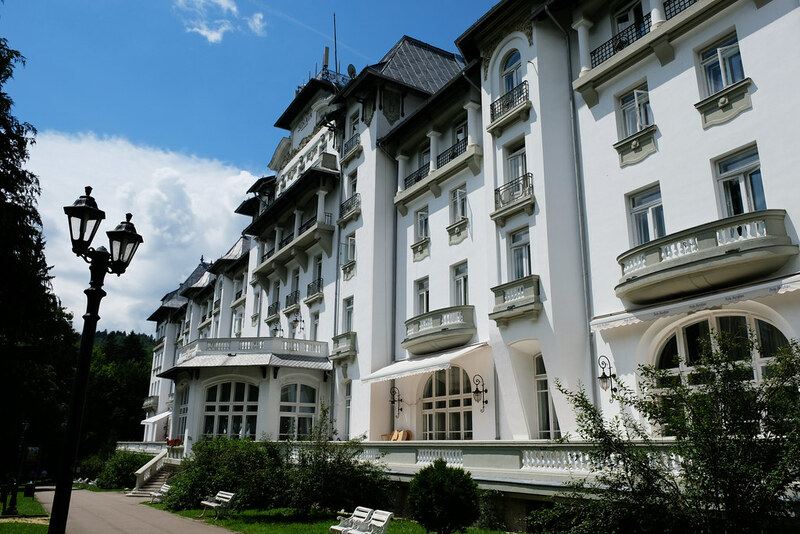 Another highlight of Dimitrie Ghica park is the building of Hotel Palace. This 4-star hotel was built in 1911, and it offers 150 elegant studios and apartments. Peaks of the nearby Bucegi Mountains are towering above the town, providing a romantic background to its castles and elegant buildings. And if you’re into hiking, it means endless opportunities. A cable car in Bușteni (about 10 minutes drive from Sinaia) takes you up high to have some amazing views. 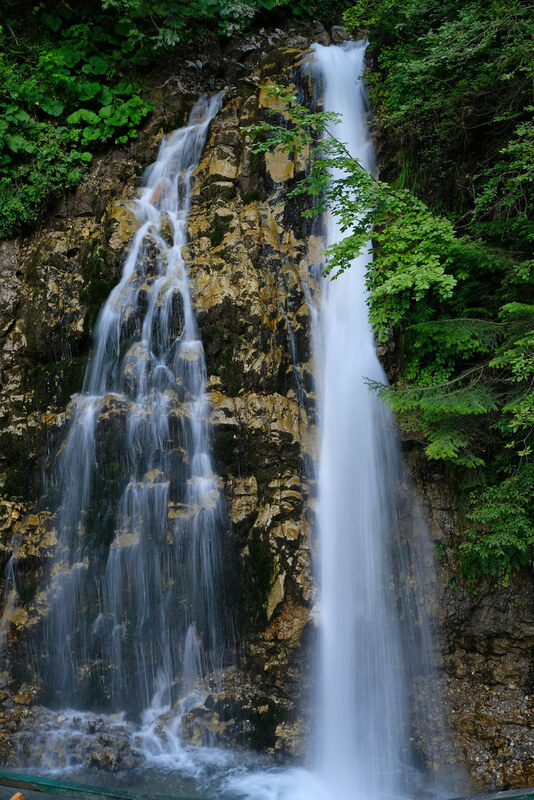 There’s also a short, easy and fabulous hike to Urlătoarea waterfall from the cable car station. Have you been to Romania? Any favorite lesser-known attractions?